Raise your hand if you like caramel apples? 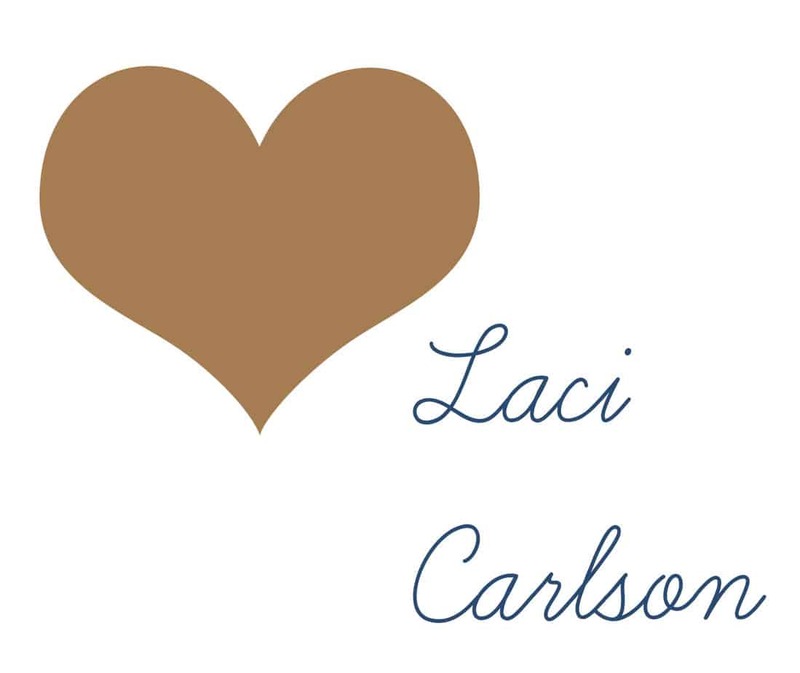 Yeah, me too! There is a little candy and ice cream shop in my hometown that has the very best Candy Apples. I say “candy apples” because these things were HUGE. Coated with different candies, my favorite being white chocolate chips. 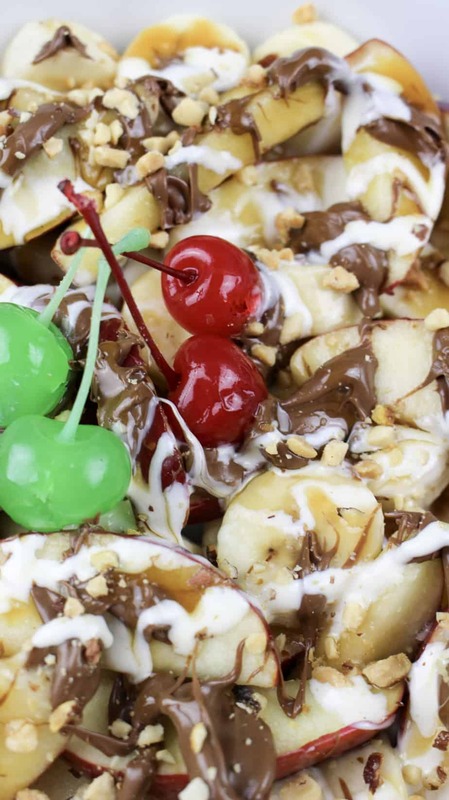 You’ve heard of Fruit Pizza…today we present you with Apple Nachos! I love fall and I LOVE caramel apples. 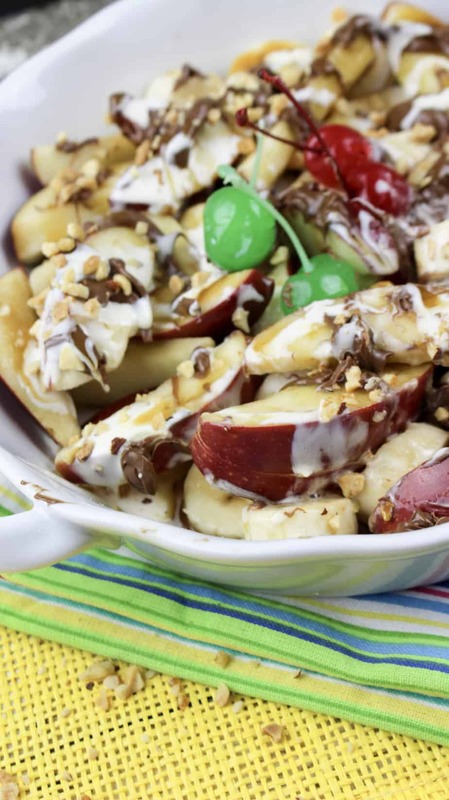 I saw this idea for making caramel apples – nacho style and I couldn’t wait to try it. It’s simple, delicious, and you can add as many (or as few) toppings as you’d like. 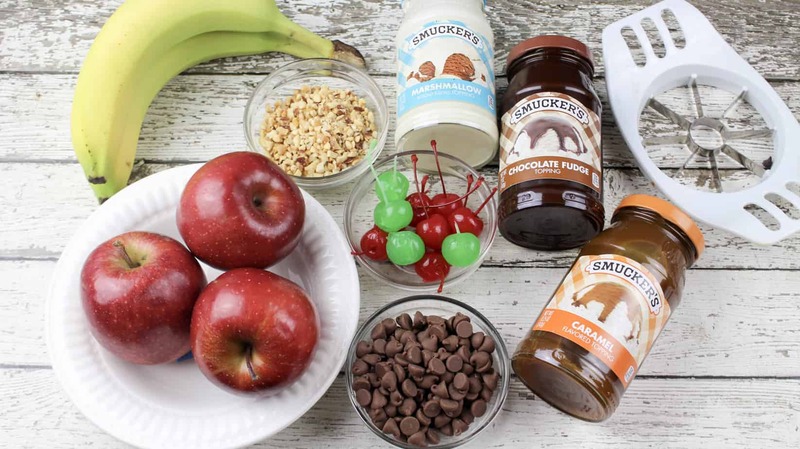 The end result is a lot easier to eat than a traditional caramel apple too…although still a little messy!… so grab a fork! Really any kind of apples will do but I’ve used my favorite, Pink Lady apples. They are taste with just a hint of sweetness to them. It’s not for everyone, but they are definitely irresistible. I’ve also paired Granny Smith apples to match the flavor. 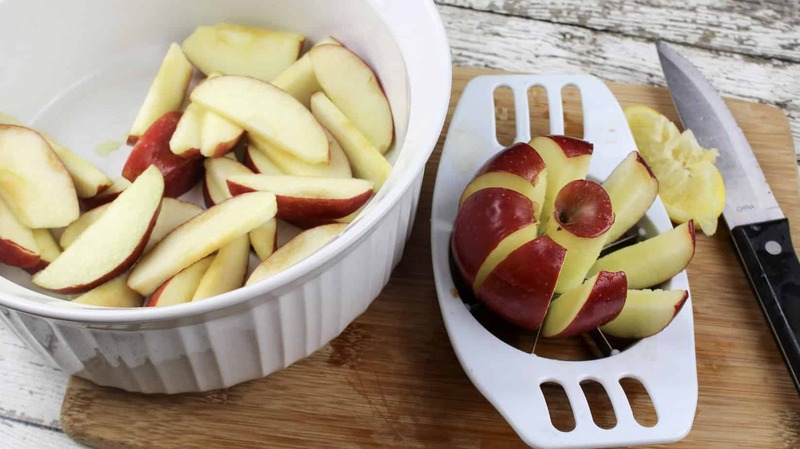 Honey Crisp apples are also great to use. The apples are extra large but small ones will do. 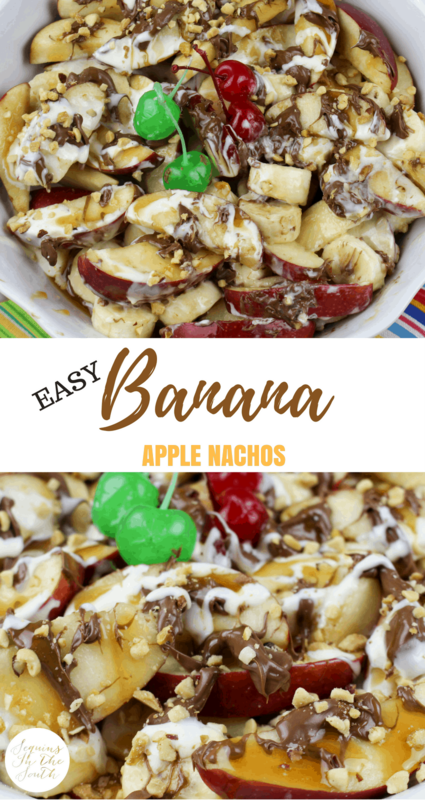 I mentioned that I would make this yummy treat again for movie night ASAP and my kids and even my HUSBAND won’t stop talking about it so it’s on and I may even add some extra goodies!! Never to many toppings on any pizza! Let me know what you think what toppings would you use? 1. Slice and core the apples and place in a mixing bowl. 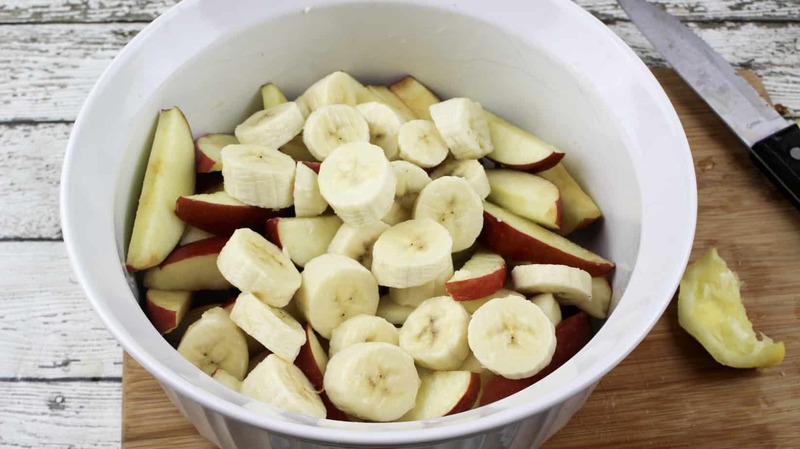 Slice the bananas into bite size pieces and add to the apples. Add the lemon juice and toss to coat. 2. Place the fruit on a serving platter. 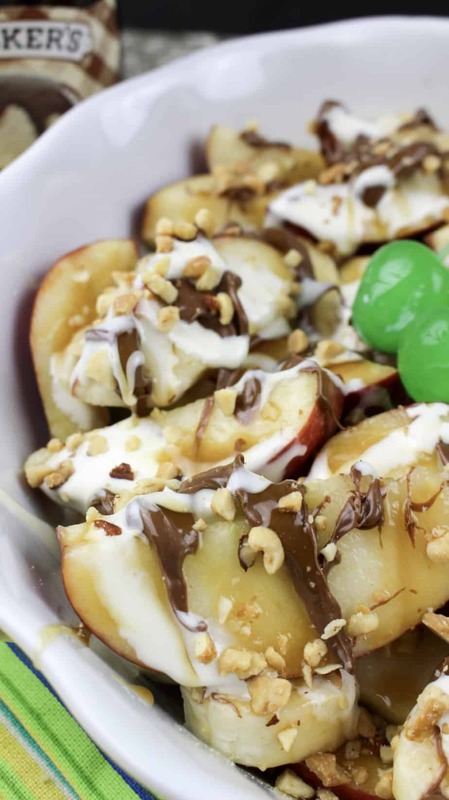 Drizzle the fudge, caramel and marshmallow toppings all over the apples. 3. 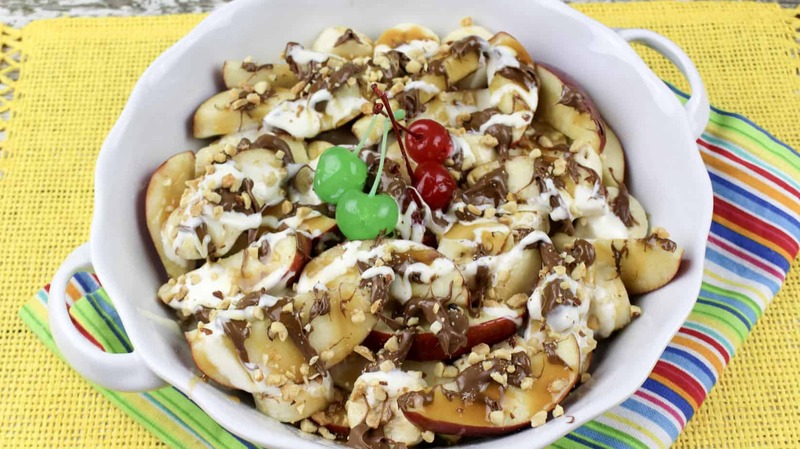 Sprinkle the chocolate chips and nut topping on top of the fruit. 4. Place the cherries on top and serve immediately. Hope ya’ll love these now go create memories! !